Dr. Matthew Bolshin was born and raised in Toronto. He studied biology at York University and The University of Ontario Institute of Technology. He attended podiatric medical school at Barry University in Miami, FL, graduating in 2015. 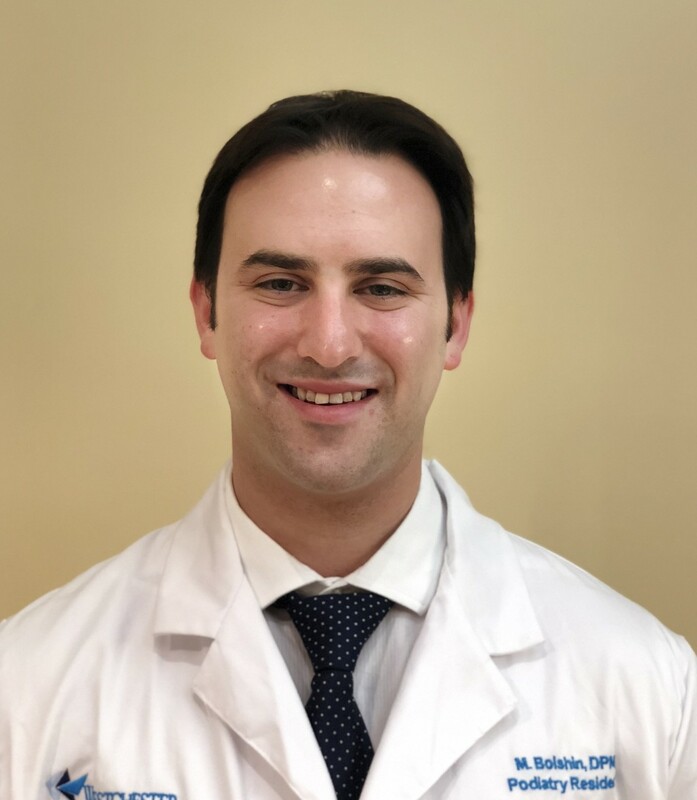 He received an academic merit scholarship during his 4 years at Barry University, as well as a scholarship for clinical excellence during his 4th year. He graduated in the top 3rd of his class, having been on the Dean’s List in each of his years at Barry University. He then went on to complete an extensive 3 year residency training program in both elective and non-elective foot and ankle surgery with an added emphasis in reconstructive rearfoot and ankle surgery at Westchester General Hospital in Miami. Dr. Bolshin is passionate about continuing education and keeping up to date with the latest advancements in podiatric medicine and surgery. This allows his patients to receive the best possible care. His professional interests include all aspects of surgery, as well as pediatrics. He is particularly interested in sports medicine, having worked with various Miami Heat players as well as recreational athletes during his time in school. In his spare time, Dr. Bolshin is an avid sports fan who loves everything to do with hockey. He is also passionate about baseball, fitness, and music. You will often find him working out in the gym or writing and playing music on the piano and saxophone. He is extremely excited to be returning home to Canada where he hopes to help everyone with all of their foot and ankle needs.